you need to remove the roof and the rear seats and then your good to go! I know someone on the board has RSX seats in his EG, maybe he'll chime in. it's a hell of a lot of work but once you're finished the finish look is just worth it all!!! 1. Take out your stock interior... should be very easy if you have any problems pm me . You CAN use the RSX stock rails but you would have to alter the mounts. I have the seats in a ek. What i'm about the tell you is a pain in the *** and without the right tools takes forever..
remember.. the reason we are taking off the mounts is because the RSX mounts are opposite to the civic mounts. they loook backwards. hey gregj do u do those steps for both the front and back seats?? for ek models they WILL NOT FIT!!!! i repeat... WILL NOT FIT!!! remember if you do this correctly.. you won't see a difference.. NOTE... REMEMBER... YOR STOCK SEAT BELTS WILLL NOT FIT WITH THE RSX SEATS... 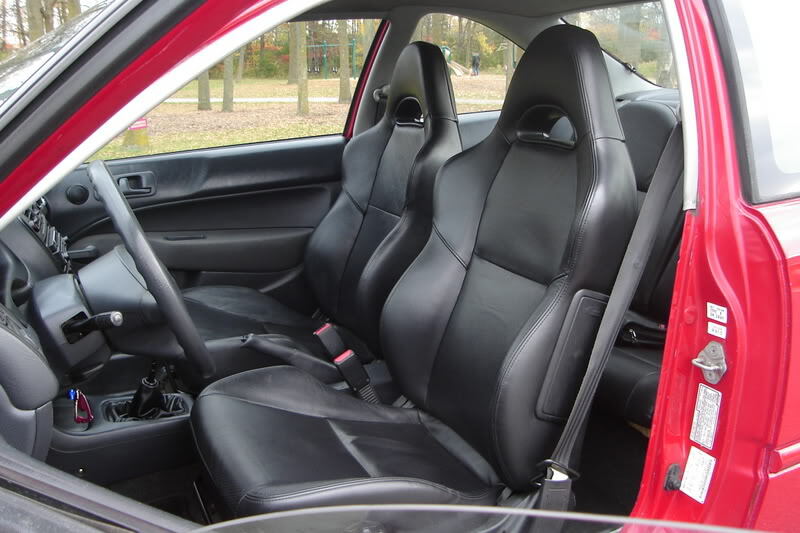 SO REMEMBER TO PICK UP THE RSX SEAT BELTS OR MOUNT UR STOCK BELT ATTACHMENT TO THE SEATS. lucky bastards just place the rears in the back ... perfect fit!! Well that is true but you can get away with using the OEM RSX feet. U just have to switch the outside leg with the innter one to the same seat for the front. And the rear outside one closes to the door side just has to be bolted down. The inside to the armrest or e-brake cables would have to be spaced out betweek the rail and the leg or use a EK or EG inner leg and it works perfectly fine, And yes use the smaller bolts so that the rail will clear when ur move foward or backwards. I Installd mine is my EG coupe 3 years ago. Wrong forum. Please read the forum rules.